Today I'll be talking about the L.A. Girl Glazed Lip Paints. L.A. Girl products aren't sold in drugstores by me but can be found online at Walgreens and drugstore.com. Around here I've only ever seen them in a store called Five Below which is where I purchased 3 of these lippies for $3 each. On the L.A. Girl website these are sold for $4 and on drugstore.com they are $3.49. These come in a squeeze tube with a slanted applicator tip. I purchased the shades Blushing, Bombshell, and Coy. 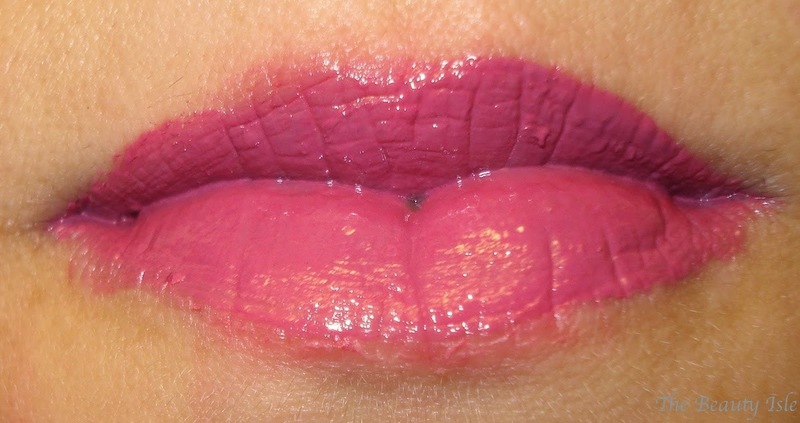 Blushing is a mauve color that leans more pink than brown, Bombshell is a super bright pink, and Coy is a true purple. I really like the shade Blushing and can see wearing that the most often of the 3. I most likely will never wear Coy since it's Barney purple. The L.A. 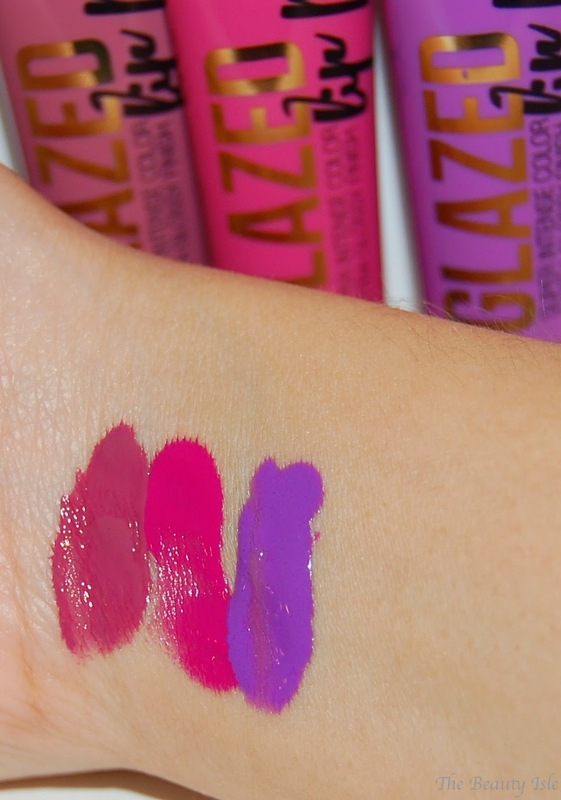 Girl Glazed Lip paints are seriously pigmented. Just a few swipes is all you need to get your entire lip intensely colored. They are also super shiny. I would actually call these a liquid lipstick. They glide on smoothly and feel good on the lips. They are a little watery so they can get goopy (everyone knows what that means, right?? haha) if you apply too much. The staying power is just ok, mostly because of the goopy factor. 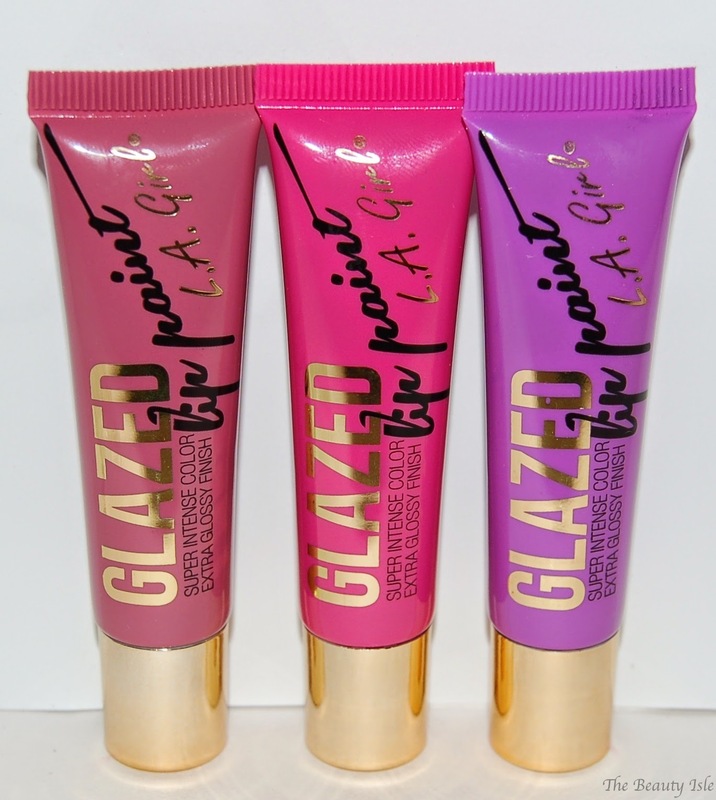 These Glazed Lip Paints came out around the same time as the Too Faced Melted Lipsticks. I think that because of their similarities in packaging (squeeze tube, slanted tip dispenser) they began being compared to one another and called "dupes". I disagree with this. The Melted Lipsticks are easier to apply and less goopy because they're less watery and more creamy. Also, the staying power of the Melteds is much longer than the Lip Paints. What do you expect though?? The Melteds are $21 while the Lip Paints are only $3! I still really love the L.A. 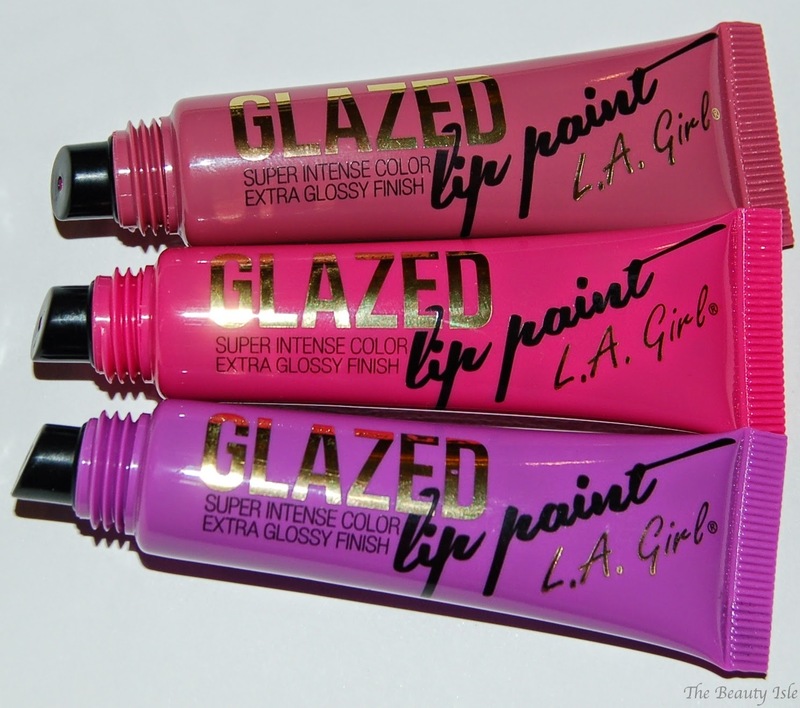 Girl Glazed Lip Paints! For the price point, you are getting a great lip product! 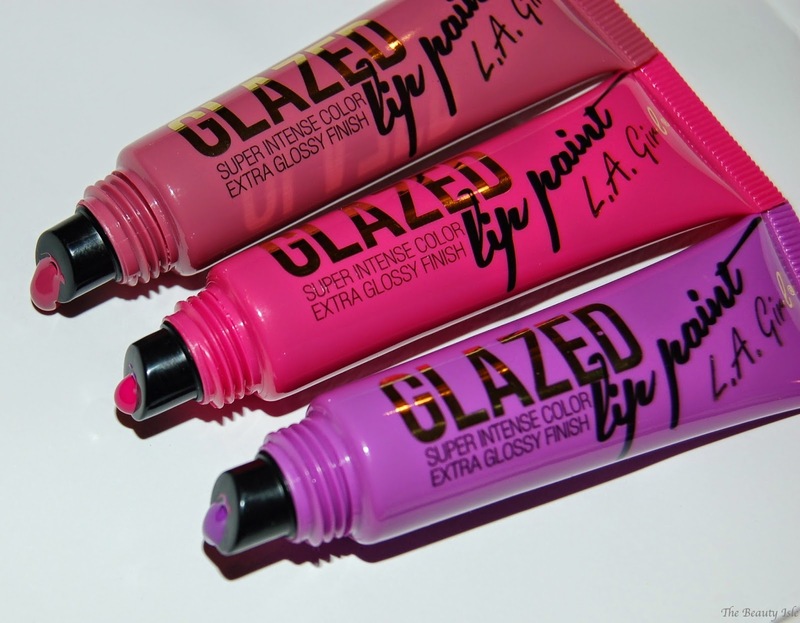 Have you tried these lippies or anything else from L.A. Girl? I heard the concealer is great.